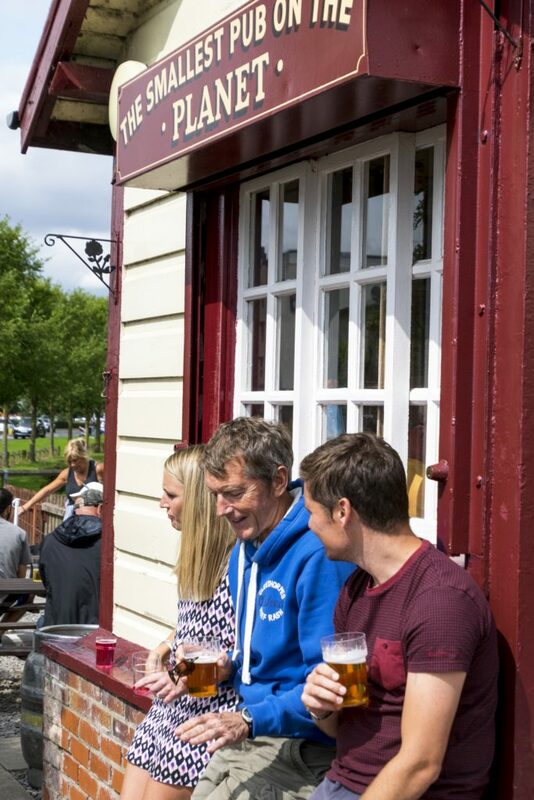 The Signal Box Inn is open daily from 11:00am. When we say little, we mean little! Measuring 8ft x 8ft squared we are be the ‘Smallest Pub on the Planet’. For our small size, we certainly pack a punch with a choice of cask ales, lager, bitter, spirits, wines and approx 20 different ciders available at any one time. You will certainly be spoilt for choice! There is no excuse not to try a pint in the smallest pub on the planet! If there is no space inside, why not soak up the sun and watch the world go by in our refurbished beer garden? The Signal Box Inn is a Freehouse. So we are free to source the very best beers, ciders and ale from around the country (and the world!). From the big name brands to the small hand made batches of artisan craft beers, there will always be something new to try. We work with small family and local breweries. Our close relationship with breweries big and small means you get an exceptional pint at an exceptional price. Every time. Cleethorpes Coast Light Railway, Lakeside Station, Kings Road, Cleethorpes, North East Lincolnshire, DN35 0AG.